Released in the winter of 2012, the latest title in GungHo’s Ragnarok series, Ragnarok Odyssey, is a spinoff for the then fledgling Playstation Vita, localizing the experience from an MMO to a handheld, Monster Hunter-esque romp. One the brighter games released for the platform, the vivid art direction and atmosphere of the game seems perfectly suited to veteran composer Kumi Tanioka, famed composer of Final Fantasy Crystal Chronicles. Unfettered for the first time in a while by the Nintendo DS’ need for sound compression, and likewise finally able to flex out her muscles for a lengthier soundtrack, how does the Ragnarok Odyssey Original Soundtrack stack up to the composer’s greatest? 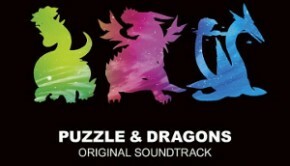 Identical official soundtracks for the title were enclosed in special editions of the games in both Taiwan and North America, the latter of which is reviewed here. 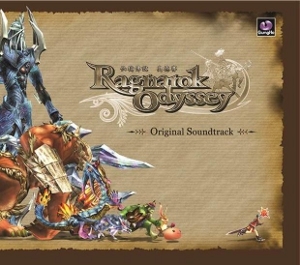 The soundtrack opens to an almost eerie, otherworldly soundscape in “Ragnarok Odyssey Opening Theme,” only for a bombastic melody to burst forth. Blending Japanese and Hollywood musical aesthetics, it’s an exciting track that establishes the soundtrack as a little more action focused than some of her previous works. The track ends with a short jingle that is referenced throughout the album. Indeed, the next track, “Ragnarok Odyssey Main Theme,” opens and develops it into a fully fledged theme, as the title intimates. The sound isn’t quite as organic as Final Fantasy Crystal Chronicles, but there are quieter sections interspersed throughout the trumpets. The melody perfectly services the collaborative monster fighting aspect of the game, though it is a bit simplistic for repeated listening. 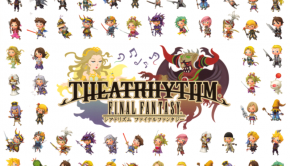 Moving forward a bit, the militaristic beat in “The Eternal Road” reminds one of Final Fantasy XI’s “Bastok,” a sound not heard from the composer in while. The following track, “Fort Farthest,” retains the militaristic beat, though its melody and organic instrumentation (e.g. woodwinds) sound more akin to Crystal Chronicles titles. The real meat of the soundtrack begins with the gentle, rolling sounds of “The Shining Plains,” the first area theme. This track retains the totally organic feel of the aforementioned, which is a real breath of fresh air for the composer. A tinge of wistfulness can also be noted, calling to mind Final Fantasy XI again and its “Gustaberg” theme. The area themes continue in this vein. The airy and hopeful pan flutes of “Ydalir Grand Canyon,” the mysterious enchantment and beautifully forlorn melody of “Astride the Flying Steed,” and the ethereal, mystical “Yggdrasil” are all successful, enjoyable themes of this nature, that play to the composers strengths as well as mixing up her styles in new yet familiar ways. Unfortunately the same praise cannot be heaped on all of these area themes. “The Ruins of Glastheim,” with its slow, panning, sometimes chaotic strings, is surprisingly boring for a track that seems to have so much in relation to Final Fantasy XI’s far superior and menacing “Shadowlord.” The necessary volcano piece, “Earth’s Quickening,” is likewise tedious. Its entirely expected sound and relatively uninteresting melody serve to bear down on the listener. Both pieces do build rather well, and are decent, but they are a sore spot compared to the aforementioned. 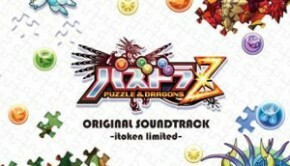 The album features a number of boss battle tracks, due to the nature of the game. Some are, like the previously mentioned area themes, a bit wearing and boring. “Truth of the Sundered Land” and “Law of the Sundered Land” are two such examples, with their atonal harmonies and underdeveloped melodies. They are fantastic mood setters, however, but their overall simplicity leaves what to be desired. Fortunately this is not the case with nearly all of the soundtrack’s other boss themes. “Looming Giant” is also a bit too short to realize its full potential, building in excitement with a thrilling, quickening pace that sort of peters out unexpectedly. “GRENDEL” bucks the trend right out of the gate with its exciting and entirely unexpected electric guitar. Tanioka’s fabulous penchant for organic soundscapes melds with the raw instrumentation and evocative beat to create a track unlike any other. “They Who Divine the Truth,” while lacking the surprising instrumentation of the previous, nevertheless evokes a mood of excitement and spiritedness that is very reminiscent of Crystal Chronicles, but with a bit of an edge. The listener is immediately whisked away with “A Mercenary’s Mortal Struggle,” a piece whose beat and simple melody draws one into a fighting mood. The final grouping of battle themes, however, is certainly the best of the lot. “Leading the Giants” promises greatness and excitement around the corner. Its pumping fervor is hard to ignore, and its pan flutes set a wonderful mood. It’s the pan flutes in “Battle Under the Midnight Sun,” however, that serve to give this thrilling track a welcome soft, tempered side, adding variety to a great piece. “From the Edge of Vigridr” is as climactic as they come, setting the mood for the final battle while being a noteworthy piece in its own right. “Twilight of the Gods” is not the best final battle theme Tanioka has ever done, and it is a mite disappointing. The use of choir is a bit surprising for the composer, though otherwise the track sounds akin to something out of a Godzilla film. Fitting for the game, yes, but lacking the composer’s charm. The soundtrack closes with “To the World’s Greatest Mercenaries!,” a simple congratulatory piece that serves its function well, and “Ragnarok Odyssey,” a credits track that starts off beautifully serene, before reprising the game’s main theme, seemingly unchanged from its initial introduction. It’s a decent way to close the soundtrack, though it would have been nice to hear another original theme. 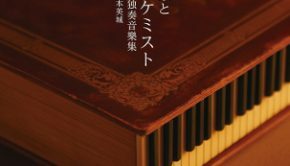 While this album certainly cannot touch the heights of Kumi Tanioka’s original Final Fantasy Crystal Chronicles score, and may even be inferior to her portable works in said series, it certainly stands on its own as an enjoyable addition to the composer’s repertoire. It’s certainly enjoyable to see how her musical style has evolved over the years, and how earlier styles seep into her newer compositions. When this album is good, it is very good, but when it isn’t, it really drags the rest down. Still, there’s nothing offensive or bad here, and most of the tracks can be enjoyed to a large extent. Posted on March 22, 2014 by Marc Friedman. Last modified on March 22, 2014.